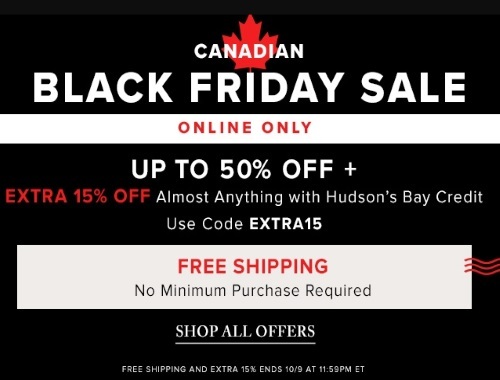 Hudson's Bay has a Canadian Black Friday Sale on now! Save up to 50% off + get an extra 15% off almost anything with your Hudson's Bay credit! Enter the promo code EXTRA15 at checkout. Plus get Free Shipping on any sized order, no minimum purchase required.